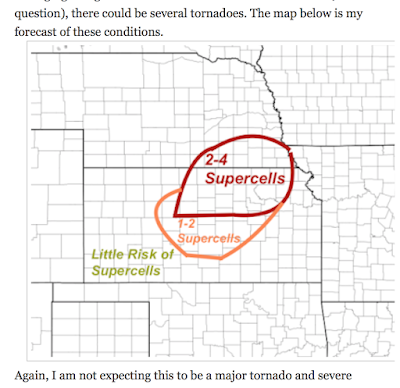 MSE Creative Consulting Blog: How Did the Supercell Forecast Work Out? Long time readers know I validate the forecasts I post here as a way of holding myself accountable and to give readers an idea of how much credibility to give them. 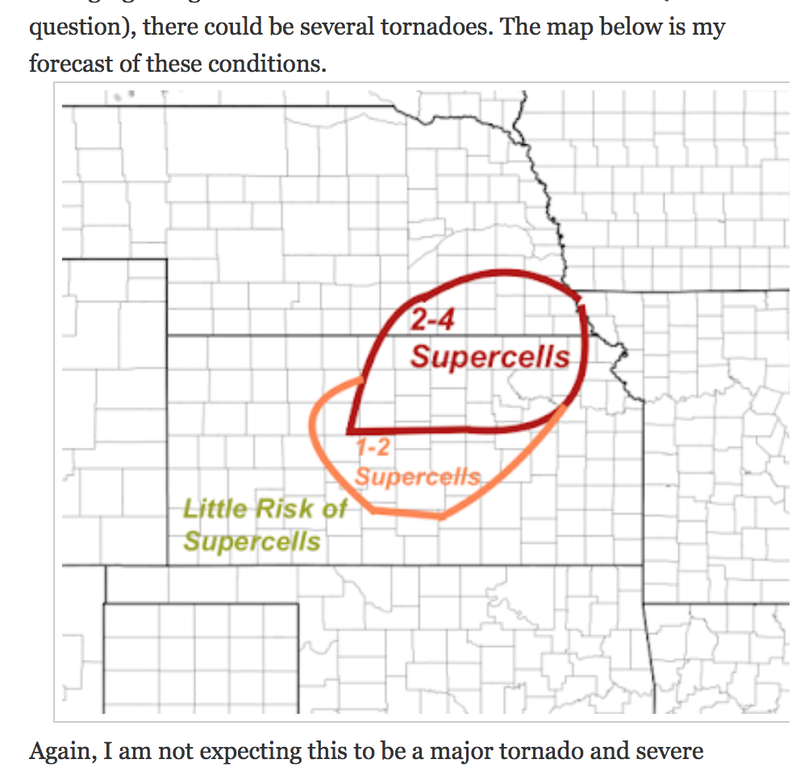 On Tuesday, I tried something new: forecasting the number of supercells (which produce large hail, damaging thunderstorm winds and, sometimes, tornadoes). The forecast is immediately below. The yellow/orange/red colors are a good representation of the hailstorms. You can compare it to the forecast above.